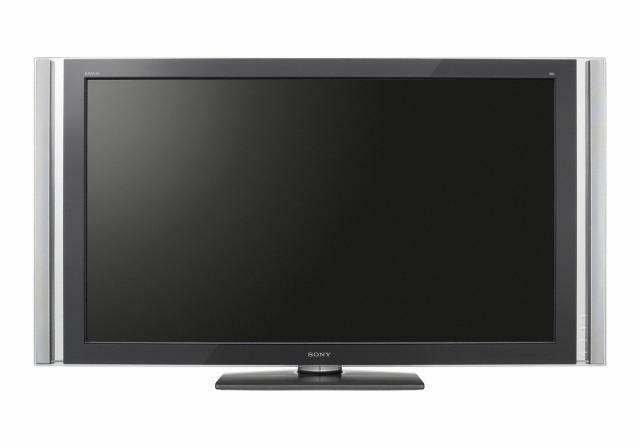 The Sony Bravia KDL55XBR45 clinched the top spot for 2009 in terms of overall picture quality. The LED television market matured in 2009, with both back-lit and edge-lit units providing good incentives for buyers to consider an LED TV over a plasma screen. Our tests revealed that LED televisions provide significantly superior picture quality over regular LCD TVs, and many included extra multimedia functionality and striking designs. Here are our Top 5 LED TV picks for 2009. It’s been on the market for a while, yet Sony's Bravia KDL55XBR45 continues to be a very strong contender in the LED television market. It offers great picture quality, back-lit with RGB LEDs it provides a wider colour gamut than white LED units. The Bravia KDL55XBR45 LED TV also includes Ethernet streaming and 100Hz motion compensation to ensure a clear picture. What's Hot: Four HDMI ports, great menu system, powerful in-built speakers. The Final Word: Sony's BRAVIA KDL55XBR45 Full HD LCD television is fantastic for watching content of any kind. When compared to its direct rival, the Samsung Series 9, it has a few inadequacies, but overall it is a strong performer and well worth its price tag. Also featuring a back-light matrix of LEDs — albeit the slightly inferior white ones — the Sharp LC40LB700X LED TV combined good picture quality and vibrant colours with an integrated, fully featured Blu-ray disc player. Since the panel itself is reasonably inexpensive, the Sharp LC40LB700X caught our attention as an easy all-in-one device to watch Blu-ray movies. What's Hot: Great contrast, vivid colour and sharpness, integrated Blu-ray player. The Final Word: Sharp’s LC40LB700X LED television is the first in Australia with an integrated Blu-ray disc player. This plus its great picture quality make the LC40LB700X a great purchase. LED televisions have the potential to drastically cut down on panel weight and size, and the Samsung Series 8 LED TV does just that. It's super-thin and reasonably light, making it a perfect candidate for wall mounting. If you can hide cables in your wall cavity, hook up all your digital devices through HDMI and plug in an Ethernet cable for media streaming and Internet connectivity this can be an unobtrusive home entertainment setup. What's Hot: Great Media@2.0 features, vibrant picture, ultra-modern styling, adjustable 200Hz mode. The Final Word: Apart from some problems with the LED backlighting under very specific test conditions, the Samsung UA46B8000 LED television has exceptionally good picture quality: 200Hz motion smoothing and a high dynamic contrast ratio combine to make even standard-definition broadcast television vibrant. When it launched, Sony's Bravia KDL40ZX1 made waves with its wireless HD video transmission system. It wasn't perfect, transmitting only at 1080i, but the idea behind this feature was interesting — plus it also reduced the thickness of the LED TV. The integration of powerful speakers into the desk stand was another design feature we liked. What's Hot: Thin, great wireless system, decent speakers. The Final Word: As a technological tour de force, we’re extremely impressed with the Sony Bravia KDL40ZX1. It’s ultra-thin, delivers good picture quality and the wireless video streaming is an innovation we’re hoping will become commonplace. We know that the Sony XEL-1 isn't an LED or LCD television, but we thought it rated a mention nonetheless. It's has a premium price and it’s ridiculously small, but the picture quality it provides is still unmatched. What's Hot: The best picture quality we’ve seen — absolute blacks, good colour saturation and control. The Final Word: We could never recommend that anyone purchase this television given its tiny size and incredible price. But as a glimpse into the promising future of OLED televisions, the Sony XEL-1 is technically brilliant.